Welcome to Brookside Family Dentistry! NO lectures or judgement, EVER! You will LOVE how your teeth LOOK and FEEL. You will have a virtually pain free experience like never before. You will always be accompanied by our friendly staff. You will discover a plan to avoid excessive cost, pain, inconvenience, and embarrassment for your lifetime. Let us help you find a time for an appointment that works with your busy schedule. We want the best for your smile. We offer comforting amenities and the latest technologies. Read what others are saying about us. We make your time with us the best it can be! We offer several financial options to help keep quality dental care in your budget. We offer dental treatments for patients of all ages in our Chester, New York office so you don't have to find different dentists for each member of your family. We offer convenient scheduling so you don't have to rearrange your schedule, and we offer flexible financing options in order to keep your family's dental needs within your budget. We are even in-network providers with most dental insurances. We want to do everything we can to help you fit dental care into your schedule, your budget, and your life. We offer dental treatments for all ages because we know how nice it is when all your family members can be seen by the same dentist. We are here no matter what your age or dental need! 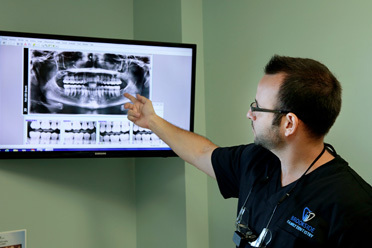 Dr. Siegel is excited to welcome you to his Chester, NY dental practice. It is his goal to offer patients the care they need, when they need it, and at a competitive price. He believes you deserve convenient, effective, and affordable dental care! Hiding your smile because you don't like the appearance of your teeth? Invisalign invisible braces can help you get the straight smile you have always wanted without the noticeable brackets and wires used with traditional braces. SIMPLY AMAZING! Dr. Siegel is the BEST dentist I have ever been to! I have lived several places in my life so I have seen many dentists - as well as my mom - who has lots of work done to her teeth. I can not tell you enough how refreshing it is to go to a dentist who actually cares - as well as his staff! He and his are the most friendliest, nicest, accomodating people I have ever come across - even compared to staff in medical doctors offices! There just so much to say about Dr. Siegel - but to sum it up - he is AMAZING! - Erin D.
Don’t be afraid! 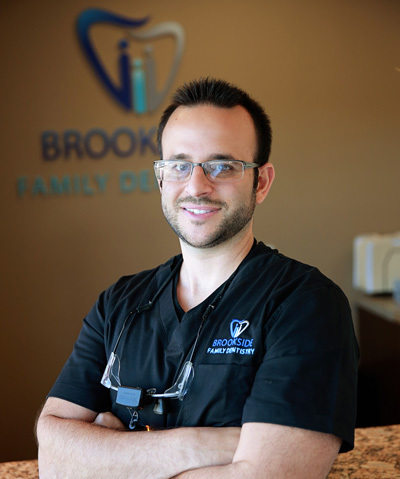 Dr. Jordan Siegel, DDS, and his friendly professional staff at Brookside Family Dentistry make going to the dentist a real treat. It is a pleasure to see Dr. Siegel, whether for a routine visit or having dental implants. He never keeps me waiting and I always receive a friendly welcome from his professional staff. Dr. Siegel, DDS and Brookside Family Dentistry get my highest recommendation. - Corbin T.
Incredible dentist and hygienist! 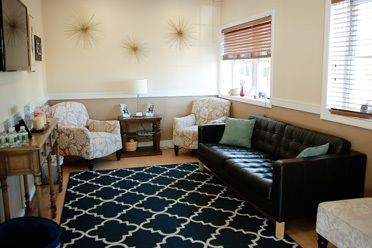 My husband and I had our first appointment and we were absolutely thrilled with the office, the office staff, equipment used, the hygienist and the dentist. We had heard wonderful things about Brookside Family Dentistry we're happy to have such a good experience. We have now found our new dentist. - Jackie K.
Glad I found this practice! My experiences with everyone in the office has been more than I could have asked for. The staff are extremely friendly, take the time to get to know you and appointments are always on schedule. Having not kept up on regular dental visits over the years, I was embarrassed by the condition of my teeth and it was very difficult to make my first appointment. From the first call to all subsequent visits, I feel comfortable and at ease. I am grateful for the healthier condition of my mouth and to have a community dental practice that cares about its patients and how they are treated. - Kim B. Very professional, extremely thorough cleaning, great office staff - love our hygienist and the dentist!! We have been going to Brookside Family Dentistry for a few years now and we are so grateful to have such a clean, friendly, honest and knowledgeable hygienist and dentist - and you know you are in the utmost competent hands and they show great skill and professionalism (and personable!). From the beginning, we were always made to feel comfortable and welcome. The environment is such a pleasant experience as well! I am extremely comfortable sharing my highest recommendation for this dental office! - Eileen H.